With its ability to help you build muscle in both the upper and lower body, the elliptical machine is also an excellent choice for building endurance. If building endurance is one of your fitness goals, here are some ways you can use your elliptical to achieve those goals. Oftentimes, beginners jump on the elliptical and set the resistance levels too high or work out at a pace that is too fast. While it is great to be motivated and to push yourself to that next level, starting off too fast can also result in injury or make you quickly grow tired of working out. Therefore, you should start small and work your way up to workouts of a greater intensity as your body grows stronger and your endurance increases. Your first goal should be to find a workout routine that helps you exercise within your target heart rate zone. To calculate your target heart rate zone, you must first determine your maximum heart rate. For men, this can be calculated by subtracting their age from 200. For women, it can be calculated by subtracting 88 percent of their age from 206. After determining your maximum heart rate, you can calculate your target heart rate zone by multiplying this number times 70 percent and then by 80 percent. If you are just getting started, it might be better to shoot for a target heart rate range between 50 percent and 70 percent until you have built up your endurance. The best home elliptical trainers come equipped with pre-programmed workout routines that are designed to help the user achieve specific goals. 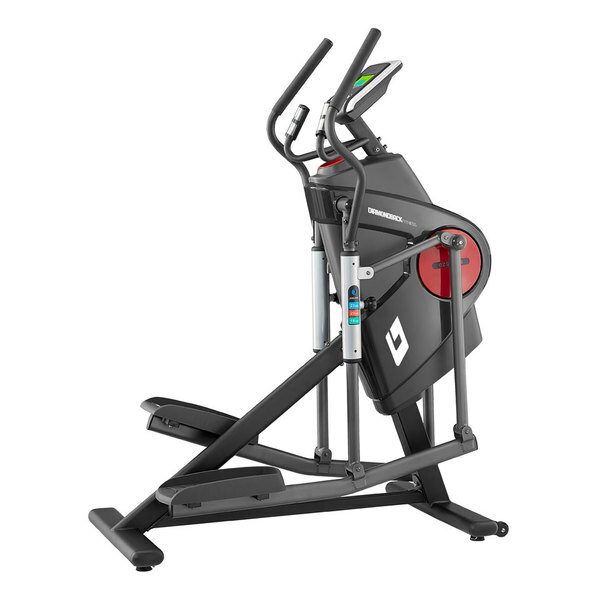 As such, your machine should have workout programs that are meant to help with increasing cardiovascular endurance. These routines will automatically adjust the resistance and the target strides per minute in order to help you achieve and maintain a heart rate within your target heart rate zone. If you are just getting started with your workout routine, it might be better to aim for somewhere between 50 percent and 70 percent of your maximum heart rate. Building your endurance means making a time commitment to exercise. Not only should you workout on your elliptical for at least 30 minutes per day for at least 3 days per week, but you also need to be prepared to continue working out over a long period of time in order to see results. To help you with sticking to your program, look for ways to make your workout fun. Some ways to do this include listening to music, watching television or reading while you work out. Finding a workout buddy who is willing to commit to the routine with you can also be helpful. Not only does this give you someone to visit with as you workout, but it will also help to keep you accountable. Building endurance requires making a commitment and a willingness to start small while gradually increasing the intensity and pace of the workout. With the help of an elliptical machine and the right mindset, you can certainly achieve your endurance goals.